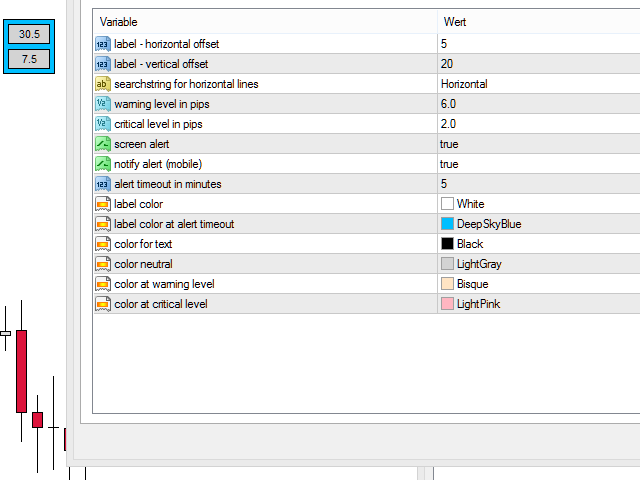 The SuPrEs indicator indicates the distance to the next horizontal line whose name begins with the configured prefix (see Options). 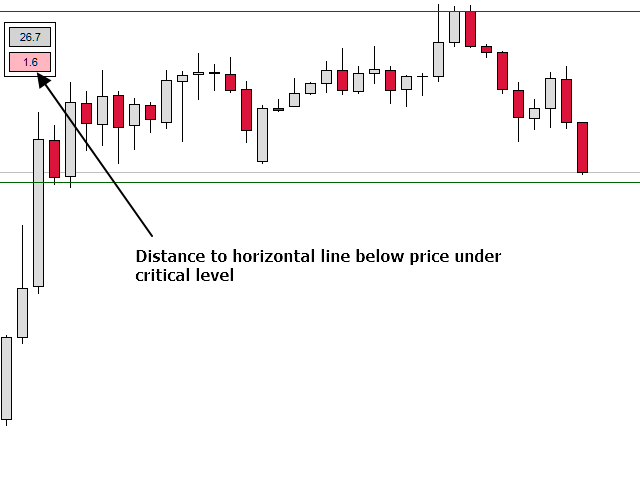 Draw support & resistance in the chart and let the indicator warn you, as soon as a configured distance is undershot. 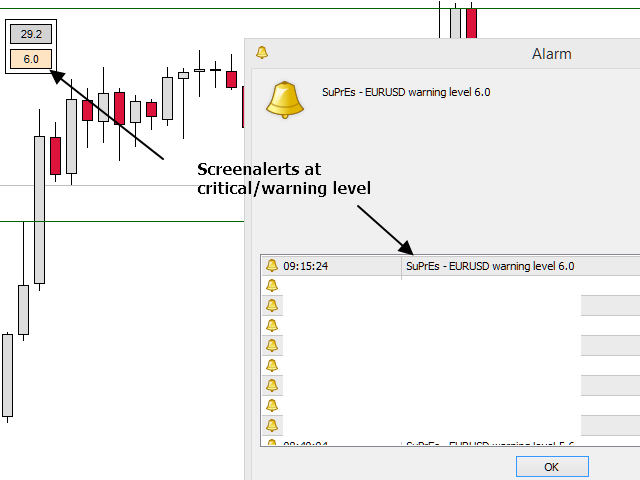 Use the prefix to provide alarms for other lines as well as standard lines (see screenshot with pivot indicator). 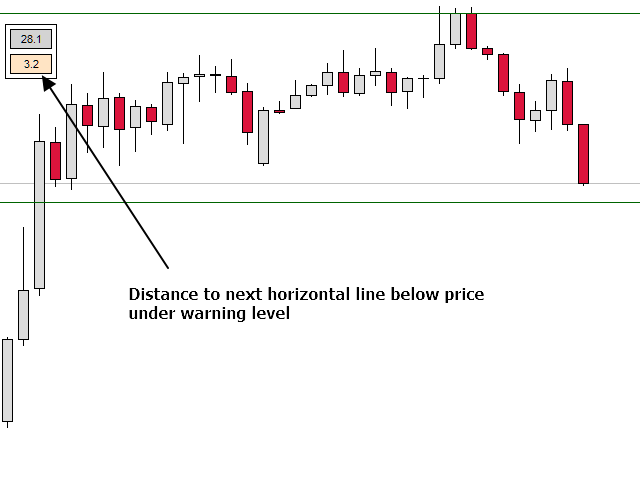 The indicator displays the distance to the next line above and below the current (Bid) price. Not more but also not less. Move the indicator horizontally as best fits. Move the indicator vertically as best suits. Enter here the first letters with which the names of the lines begin. 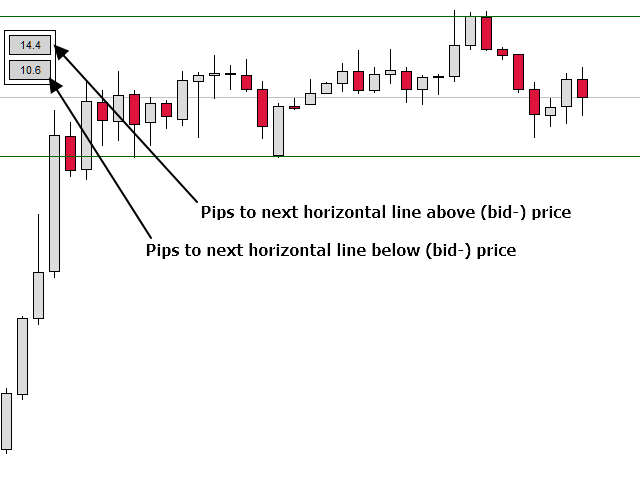 If you want to search the standard lines of the MT4, enter here for example "Horizontal". If this value is undershot, it will be highlighted in color. If this is set to True, a screen alarm will be output if the critical threshold is undershot. 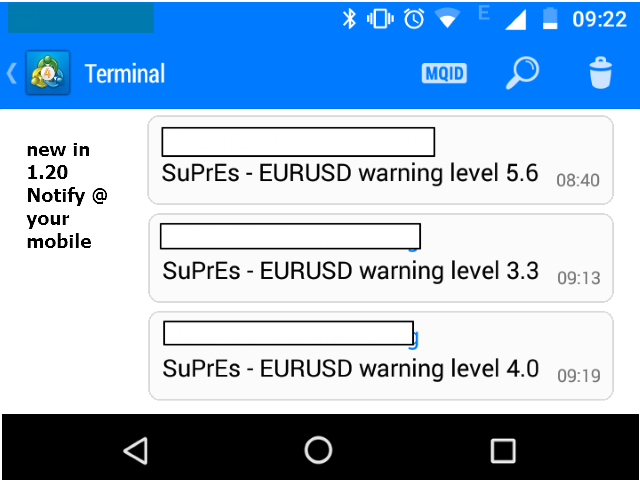 If this is set to True, an alert to the mobile MT4 will be sent if the critical threshold is undershot (new in version 1.20). For this time in minutes, the alarm is suspended, so you are not constantly annoyed by him. 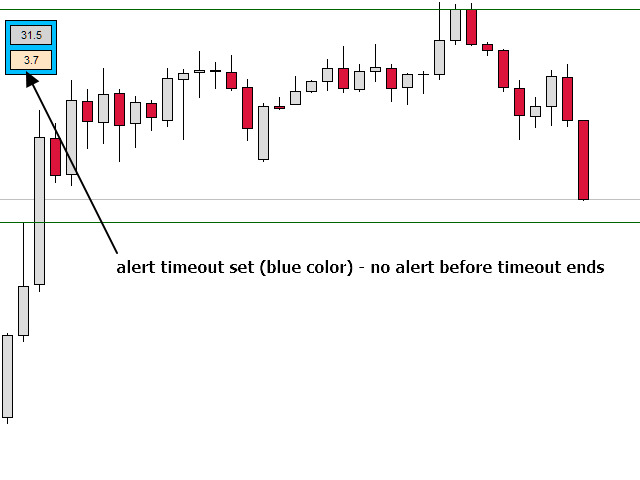 When the timeout runs, the label will change color (see colors below). Set the indicator as you like best.